“Narrow and uncomfortable.” That was the recurring phrase I kept hearing about trail shoes by Salomon, a sports equipment company founded in 1947 in Annecy, France. Salomon was acquired by Adidas in 1997 but later sold to Amer Sports. Amer also owns, among other companies, Wilson Sporting Goods (yes, the company that made the volleyball featured in Cast Away), Arc’teryx, Mavic (a bicycle parts manufacturer), and Suunto. 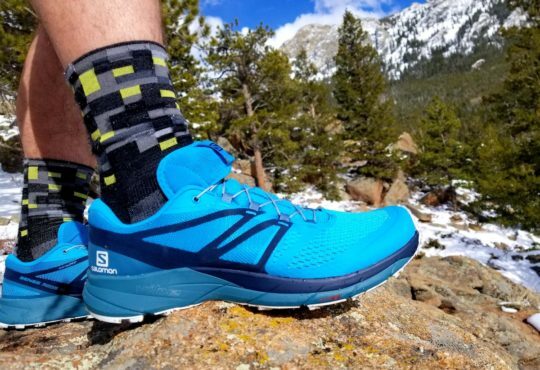 Having never owned a Salomon shoe before, I found it worthwhile to acquaint myself with the company and their history in light of this brand being beloved by trail enthusiasts. As I repeatedly tell fellow runners about trying on a new shoe for the first time, suspend your perceptions. Disregard the bias of others. I ran a personal best in the marathon in the Skechers GOrun 5. Of the GOrun Ride 7, Thomas said it’s an “exceptional” shoe. “Skechers, you ask?” Yes, Skechers. 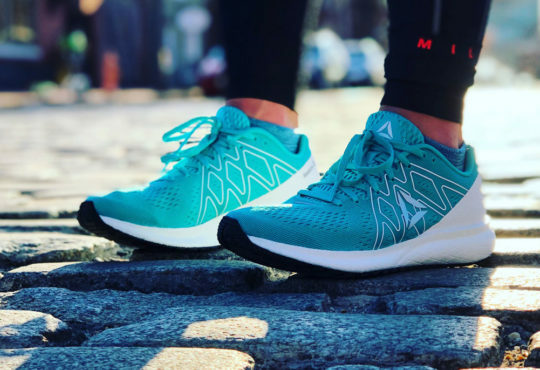 The company needs to market their performance division better and enter more specialty running stores, but that’s another story. 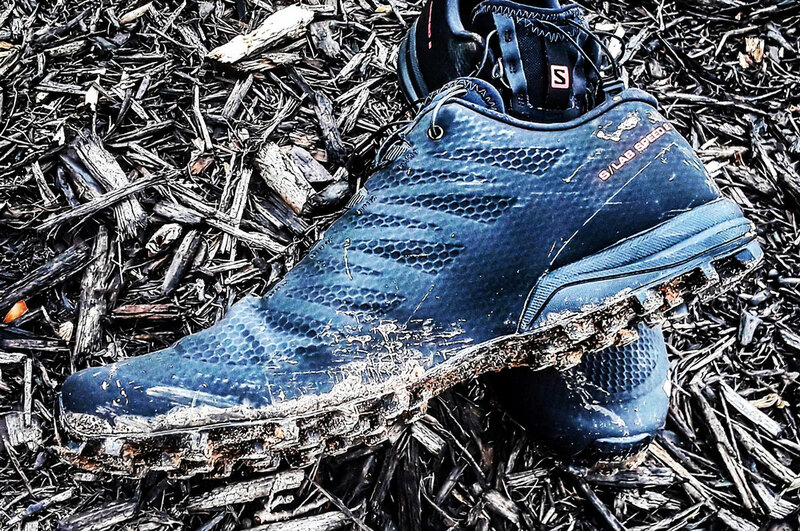 They are creating remarkable shoes – as is Salomon. 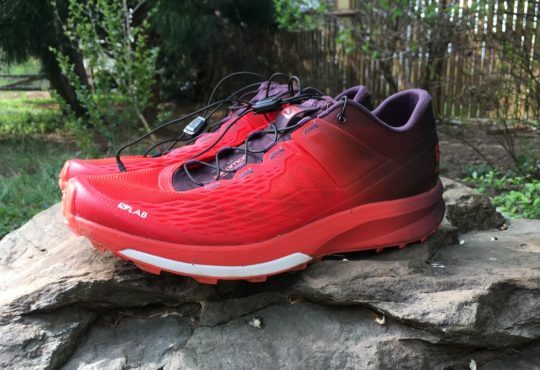 The S-Lab Speed 2 is my first Salomon shoe, and I will concede the “narrow” characteristic after trying it on and accumulating some miles. But this workhorse is a far cry from uncomfortable. To provide a bit of context for the Speed 2, I’d like to note that I visited two local parks for testing. I also put it through an 8.6-mile trail race with an obscene amount of mud. The 6-millimeter lugs were visible after that fast jaunt through the woods, though the light mist and chilly morning were the ideal conditions for competing against others. The two parks were moderate in difficulty, though one had more ascents, descents, and tree roots to contend. The private racecourse, constructed to test mountain bikes, offered rolling hills and a more forgiving terrain. The muddy ground, as I noted, was an excellent stomping ground for the Speed 2. I even managed a third-place finish. There are a handful of characteristics the Salomon S-Lab Speed 2 possesses to make this trail shoe shine. First, the lugs. 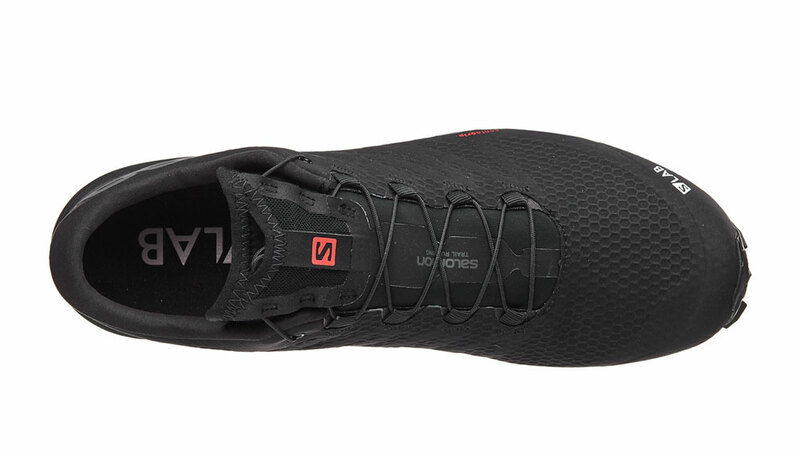 At 6-millimeters in length, they provide stellar traction for wet, gnarly trails. Second, the quick laces. I’ve never worn a trail shoe without traditional laces, but it was refreshing to secure the midfoot to the desired fit, pull the clip down, tuck the excess lace into the mesh pocket on the top of the tongue, and take off into the woods. Third, the heel fit. Between the internal sleeve, quick laces, and low midfoot volume, the Salomon S-Lab Speed 2 truly fits like a glove. Even after loosening the laces, it still takes some strength to pull the shoes off the feet. Finally, the color. Though trail shoes are becoming brighter like their road counterparts, the black finish from top to bottom is wicked cool. Two critiques have emerged concerning the Speed 2. The first, at least to me, is the price. At $180, this is a pricey model for the racing category. 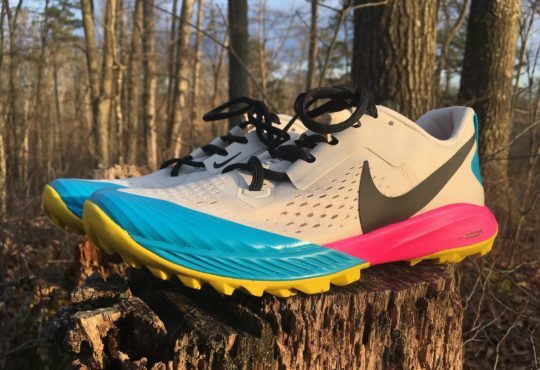 In fact, this is the most expensive running shoe I’ve ever owned (that pesky Zoom Vaporfly 4% remains elusive and hard to find online and in-store). 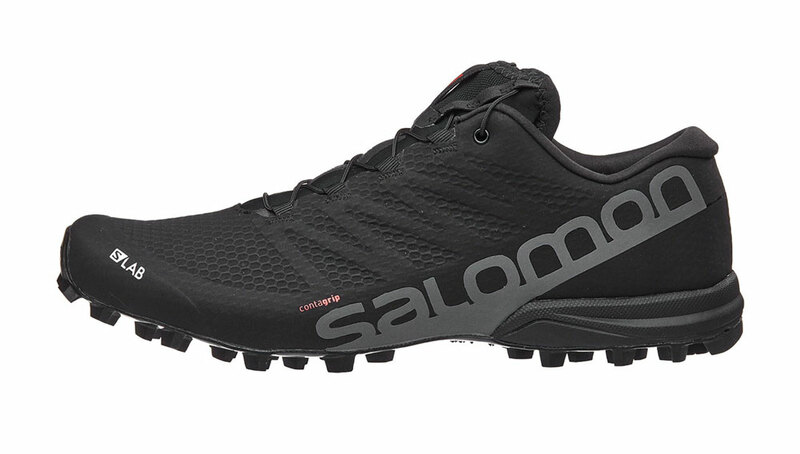 Salomon does produce other models in the S-Lab line also priced at $180, but the higher cost ultimately reflects their commitment to making these particular models the absolute best for athletes who desire minimal weight and unparalleled performance. As I noted earlier, the Speed 2 is narrow in numerous respects: the heel, the midfoot, and the toe box. 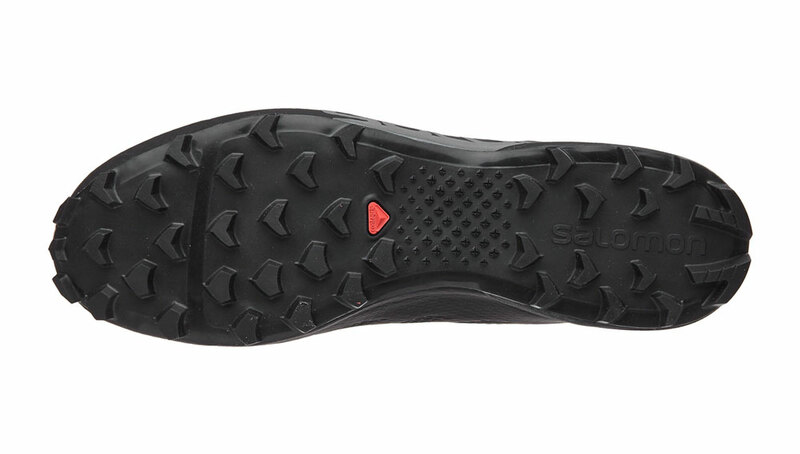 Accordingly, runners with wider feet may wish to consider another Salomon model, be it for training or performance. 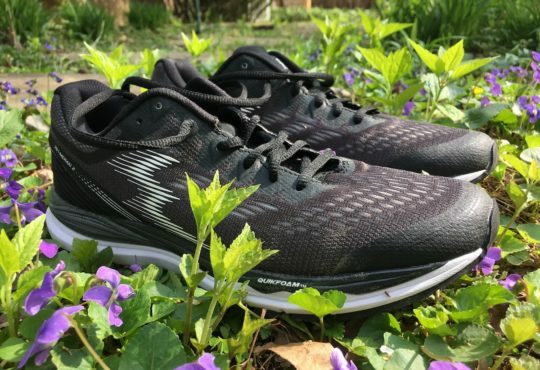 As a runner with narrow feet, I did experience some pain in the third and fourth toes of the right foot after the trail race I completed in the Speed 2. However, I have been contending with some metatarsal pain, so I placed a metatarsal pad on the sock liner to improve toe splay. This likely contributed to the toe pain as the left foot felt as fresh as a daisy after the race. Speaking of pain, I’d reserve this shoe for races with minimal time on the roads. It’s ideal for soft terrain, and time there should be maximized. In summary, the S-Lab Speed 2 is an excellent contender for runners looking to improve their times at trail races. 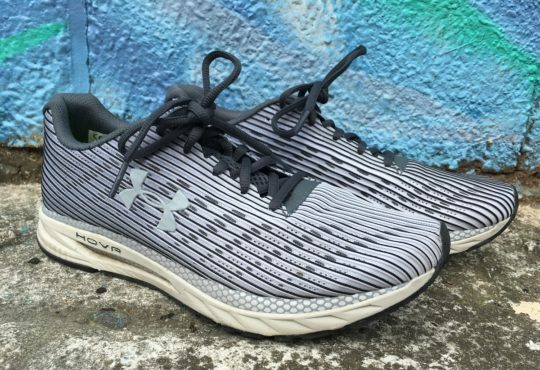 The lower weight from the original Speed, aggressive lug configuration, and snug upper, complete with a compressed EVA midsole, give it a distinct edge uphill and down dale. Just got some having had the FellCross 1&2 then the Speeds – oh what a disappointment – the tongue is open right to the base so debris can get in – in the Speed it could only get in the tops, a fussy lace pocket and they just look cheaper. A quick run revealed far less heel stability. These are a let down compared to the excellent Speeds.